MITCHELL is one of the most popular brand cosmeceutical skin care products. They have introduced various ranges of products targeted at solving different skin care issues, faced by women worldwide. They manufacture products with carefully selected, high potency ingredients for specific concerns like: dark spots, patchy complexion, dullness of skin, acne marks, pigmentation etc.Mitchell has recently launched a line of products that contain “ Lotus Seed Extract” for anti-aging skin care. The extracts of Lotus seed have powerful enzymes, like: MethylTransferase (MT) and various potent antioxidants. This range is targeted at keeping your skin cells and fibre components healthy by hastening the processes related to repair, defense, renewal and regeneration. This Papaya Brightening cleanser helps to keep your skin clean and bright. It is free of SLS therefore, it does not lather much but manages to gently clean away all the deposited grime and dirt from your face. It also contains the skin friendly extracts of Lotus Seeds, Ginger, Aloe vera, Papaya and Pomegranate. ● Mild and pleasant smell. 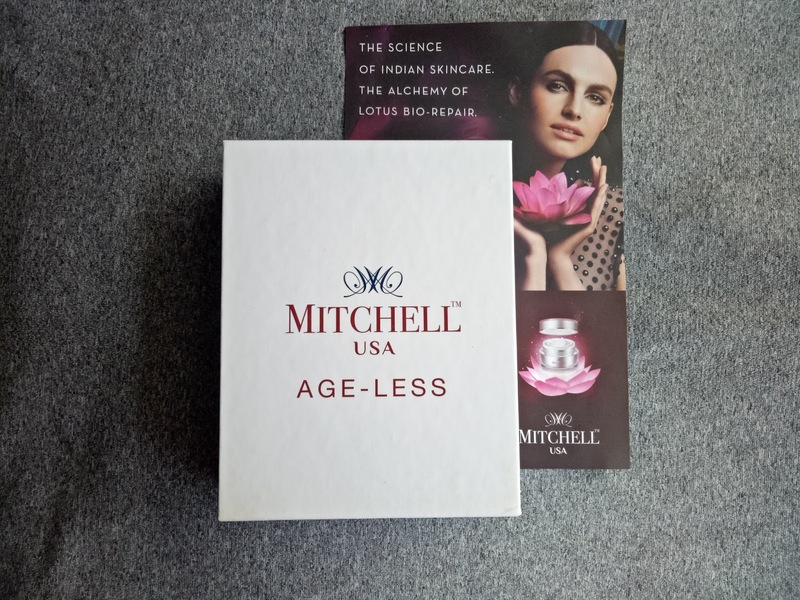 Mitchell Age-Less Skin polish Insta Brite-Exfoliating Cream helps your skin by removing the deep settled impurities and dead skin cells that make your complexion look dull. It also helps to unclog your facial pores which also means lesser skin troubles like acne, whiteheads and Blackheads. 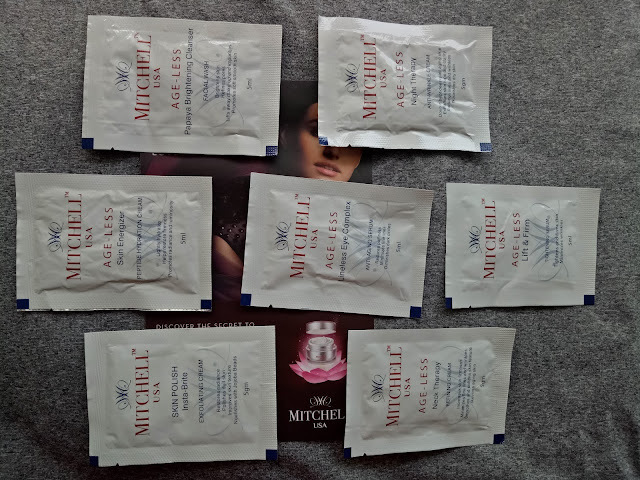 MITCHELL Insta Brite Exfoliating cream has fine beads for scrubbing that are not gritty but god enough to slough away the dead skin. This skin Energizer complex contains active botanical enzymes which bring about cell renewal to make your skin look fresh and plump. The Mitchell USA Neck therapy cream helps to nourish and moisturize the skin over your neck. This reduces the prominence of shrivels and wrinkles affecting this delicate area. The skin under and around eyes is delicate and devoid of subcutaneous fat therefore, fine lines appear early in this area. The lineless eye complex is designed to fight the initial signs of ageing like fine lines and wrinkles in the under-eye area. It is enriched with wrinkle fighting peptides that reduce puffiness and boost blood circulation. Night therapy cream aids the reparative and regenerative processes of your skin. This night cream comes with a velvety texture that seeps in deep and thoroughly nourishes your skin to reveal a youthful complexion. This cram has extracts of Lotus seed, peptides, Matrixyl and Argireline. This lightweight serum penetrates your skin like pure Magic. This helps to firm up and tighten your skin with regular use. Do give this range a shot for proven results.